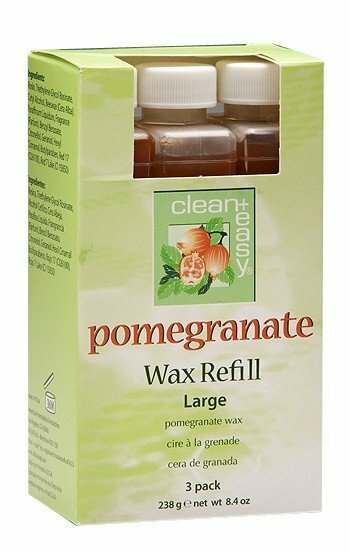 This clean+easy 3 Pack Specialist Pomegranate Roller Wax is a perfect addition to your salon waxing offering. Pomegranate wax has an amazing aroma when heated filling your salon with a fresh fruity scent. Our pomegranate wax is also antioxidant rich and helps fight off free radicals. For use when performing leg and body waxing.